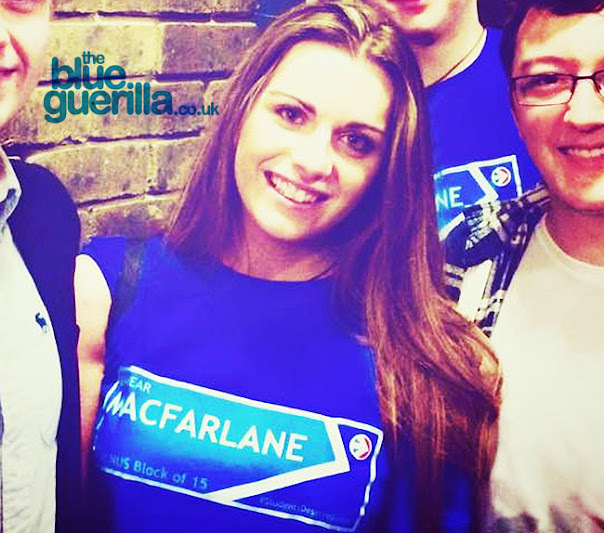 TheBlueGuerilla: NUS Hell Raiser MacFarlane on Whistle-stop Tour? RUMOURS are flying over the surprise visit of the popular Northern Ireland Conservative Future (CF) activist who was spotted in a busy Westminster watering hole last night, TBG can reveal. Eimhear, who stunned audiences with her impressive right-wing NUS leadership bid, is said to have met with several CF big beasts to discuss her own future on the national stage. One secret observer told TBG: "I spent most of the evening hiding behind a bin, but it's clear she's such a character. Her presence brightens up any gathering and she's so down to earth. When she talks to you, you feel like you're on cloud 9. We could really do with her on the national scene." A source close to Eimhear informed TBG: "As any other normal person would, Eimhear was simply visiting friends in London and having a good time. I don't know anything about her plans but I do think some people get a little bit overexcited"
As the CF election draws nearer, people are still keeping their cards pretty close to their chest.